If at any time you are unable to locate answers to a question, feel free to give us a call at 877-537-4227 or 877-JFS-4CAR . It's that easy! We accept most cars, trucks, trailers, boats, RV's, motorcycles, off road vehicles, heavy equipment and most other motorized vehicles. If you have any questions about what you can donate, please call us toll-free at 877-537-4227 or 877-JFS-4CAR seven days a week. You will need the title to the vehicle, but if you do not have it, please call us anyway. It is possible that other arrangements may be made. Please call us toll-free at 877-537-4227 or 877-JFS-4CAR seven days a week. Yes. We are able to accept most vehicles running or not. Exceptions include older vehicles whose value would not offset the cost of towing. Most vehicles need to be intact and in towable condition. To find out if we can accept your vehicle, please complete our secure online donation form or call us toll-free at 877-537-4227 or 877-JFS-4CAR seven days a week. We will contact you to schedule an appointment within two to three business days at the most. If you need your car picked up sooner, please call us toll-free at 877-537-4227 or 877-JFS-4CAR seven days a week. We may be able to make those arrangements as well. In some cases we can take your car, running or not. However, it must have an engine and be towable. Contact a representative at 877-537-4227 or 877-JFS-4CAR to find out if your vehicle qualifies for pick-up. 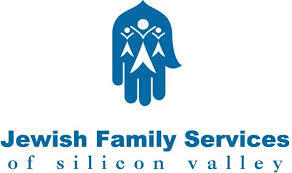 © 2016 Jewish Family Services of Silicon Valley - DONATE NOW. All Rights Reserved.